Make a recipe from the year you were born, +/- 5 years to allow for a recipe that you actually WANT to make. 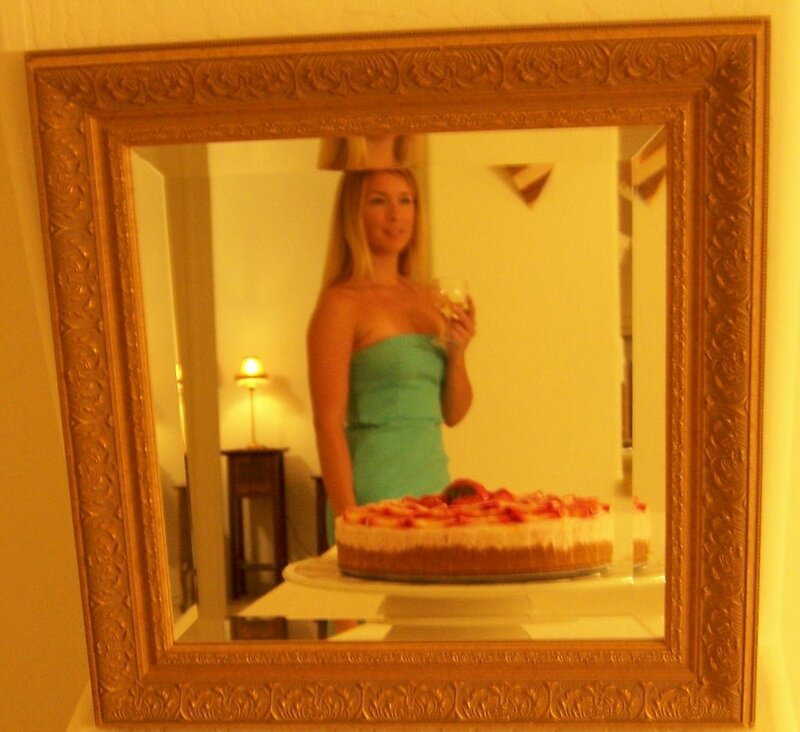 Take some photos of the recipe, record the resulting deliciousness (or lack thereof) and eat! I searched around and settled on this recipe from Bon Appetit from 1982 (1979 was not a good year on Epicurious.com). I was born in Texas, so this recipe seemed just right for me, plus the recipe is from Jinx Morgan, who cannot seem to write a bad recipe, nor one too complicated. As far as an outcome, I cannot describe how euphorically delicious and simple this recipe is. 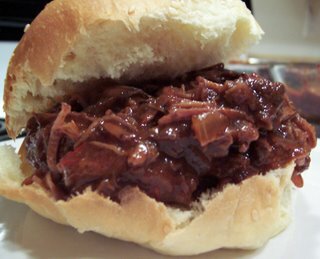 The brisket is aptly named as it is practically effortless, and the Broncbuster's barbeque sauce was so easy and delicious that I'll be using it for all my barbeque sauce needs from now on. The recipe is here, but my version below includes my slight adaptations. Gather all ingredients, allow brisket to come to room temperature. 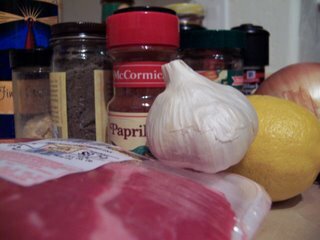 Mince garlic, and combine all other ingredients (except beef) in a bowl. 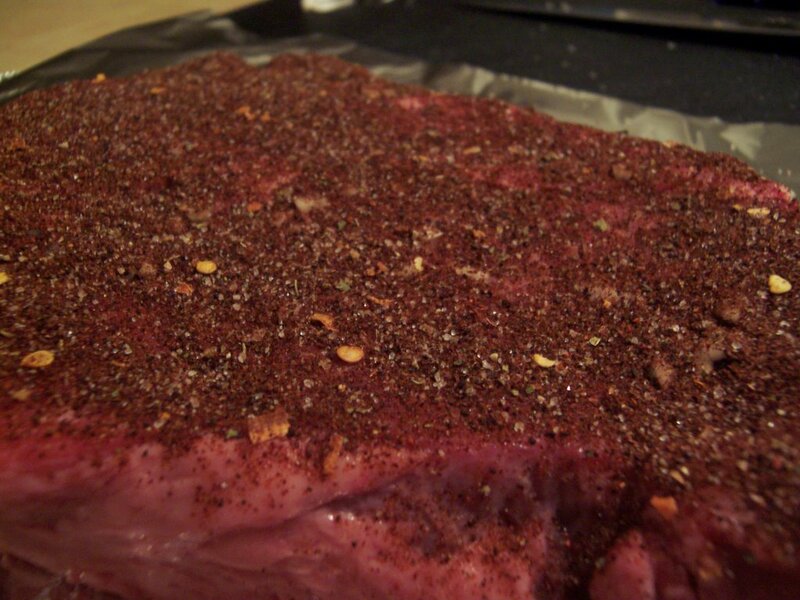 Rub garlic on both side of meat, then sprinkle/rub all other ingredients onto beef, thoroughly coating. Wrap beef tightly in several layers of aluminum foil, then place in a shallow baking pan. Place in a preheated 325 degree oven. Roast for about 2 hours, or until fork-tender but not overly dry. Serve hot or at room temperature with the sauce. Melt butter in a saute pan, add onions and sweat until soft and translucent. 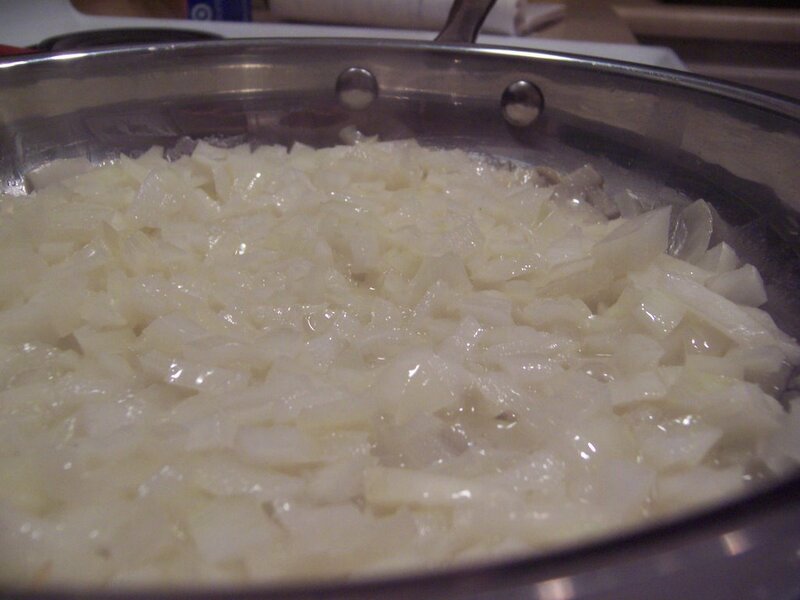 Once onions are softened, add all other ingredients. Bring to a boil, then lower heat and simmer until reduced to a thickness that coats the back of a spoon. Remove from heat, serve or let cool and chill. Teaspoon or Tablespoon for paprika in meat seasoning? That looks terrific. Thanks for contributing to the RRC! This looks much better than the bbq brisket I attempted a couple weeks ago, mine needed more sauce. 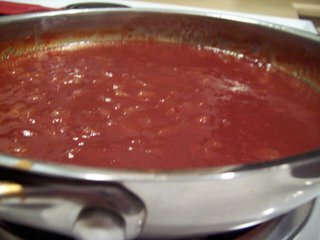 Thanks Brilynn - I like lots of sauce, so I used all of the recipe and found it to be perfect. This one started as a recipe challenge, but now is a keeper. Sooo, aging myself here... I loved making this recipe in 1982 and many times over the years. I realized I couldn't find the magazine last year, and was in mourning. I was idly cruising the net and thought I would try to find something like it. Imagine my delight to find this on the first search! So 33 years later you saved my Super Bowl party! May you and yours be blessed.